Cheltenham Center for the Arts needs your help! The glorious wood kiln at the Art Center was built many moons ago - Dozens of firings later, through days, nights, sleet and snow the wood kiln has delivered beautiful pots and been a source for inspiration and team work. Now we must bring the wood kiln back to it's glory, repair it and put up a roof. Raise the Roof! 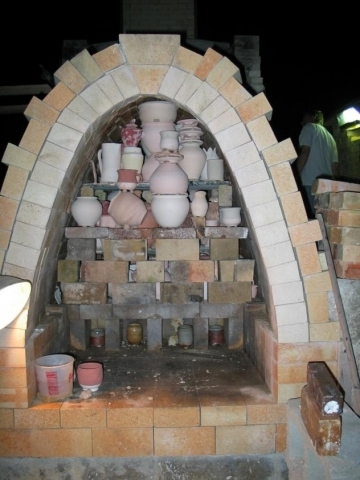 Wood Fire Kiln Go Fund Me campaign here. Every little bit helps, so no matter how big or small we appreciate YOUR donation. We have packages of awesome rewards donated by various artists, different tiers of giving and many ways to be involved. We've put together a Kiln Yard Committee fit to lead and help get this project underway! All of the proceeds go directly towards repairing the wood kiln. Please consider donating and keep checking back for new incentives. Thank you for your support. We look forward to firing and repairing the kiln together!